A proper diet is a key component to leading a healthy lifestyle. It fuels your body with the right foods and in the right portions. Online Nutrition Coaching and Fresh Food Delivery are services that can help you follow a structured nutrition plan. 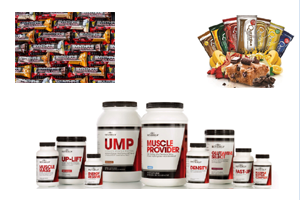 Liquid Egg Whites, Protein Bars and Protein Chips, G Butter, and powdered peanut butter can also be an integral part of your diet, and the proper supplements are also suggested to further enhance your health and performance. Some of the most popular supplements are listed below.